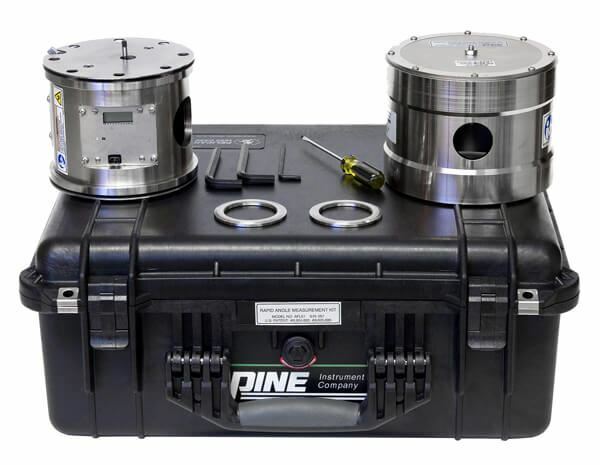 Rapid Angle Measurement Device - Gilson Co.
HMA-621 Rapid Angle Measurement Device (RAM) quickly verifies and calibrates both internal and external angles on any Superpave Gyratory Compactor using 150mm molds, including Gilson HM-685 and HM-687 models. The HMA-621 safely and efficiently measures the internal angle of gyration and takes only a few minutes to complete the measurements required by AASHTO T312. Measurements are taken at room temperature, avoiding the handling of hot molds. The instrument is self-contained with push-button controls and an LED display. No computer interface is required, simply operate the compactor with the device inside the mold, remove it and read the result on the display. No asphalt mix is required and no test data is stored. A NIST traceable certified calibration tube is included with the RAM. Certification is valid for one year. Contact Gilson for recertification.